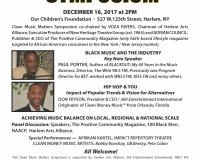 On December 16, 2017 at 2 pm, the Clean Music Matters Symposium followed by special performances will be held at Our Children’s Foundation at 527 West 125th Street in Harlem, NYC; Co‐Chaired by VOZA RIVERS, Executive Producer of New Heritage Theatre Group (est. 1964) and Chairman of Harlem Arts Alliance; and ADRIAN COUNCIL, Publisher & CEO of The Positive Community (faith‐based lifestyle magazine targeted to African American consumers in the New York / New Jersey market). 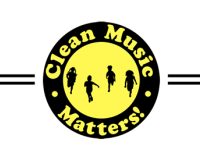 Clean Music Matters celebrates positive messaging in music that inspire our youth and communities to achieve greatness against all odds. We are concerned about predominant negative messaging in popular music and entertainment that glorifies criminal lifestyles, promiscuity and violence — which has a detrimental impact on multicultural youth and spurs racial tension. Heavily funded by predators who profit at the expense of our children, we must work together to address and resolve this imminent danger. 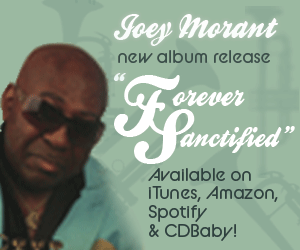 Clean Music Matters purpose is to promote, inspire and popularize healthy lifestyles through music in a form youth relate; institute positive balance in media directed toward our communities on a local, regional and national scale; and bridge divides. SPECIAL PERFORMANCES: AFRIKAN KARTEL; IMPACT REPERTORY THEATRE, CLEAN MONEY MUSIC ARTISTS: Bobby Booshay, GB Breezy, Pete Colon. 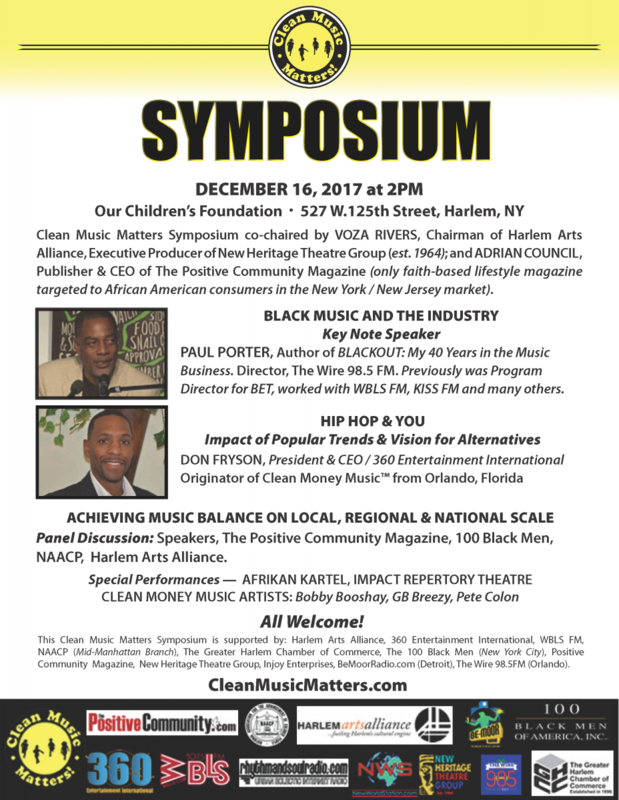 This Clean Music Matters Symposium is supported by: Harlem Arts Alliance, 360 Entertainment International, LLC, WBLS FM, NAACP (Mid‐Manhattan Branch), The Greater Harlem Chamber of Commerce, The 100 Black Men (New York City), Positive Community Magazine, New Heritage Theatre Group, Injoy Enterprises / RhythmAndSoulRadio.com, Brightmoor Community Center (Detroit), NewWorldStation.com, Rap Rehab, TheWire385.com.